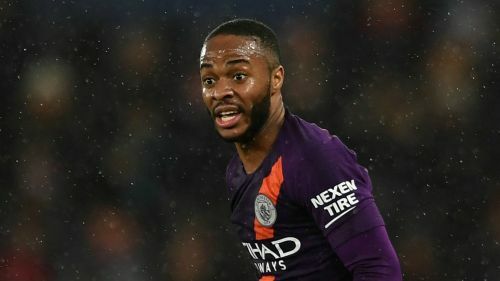 Pep Guardiola deserves credit for the rapid rise of Raheem Sterling, according to former Manchester United and England striker Wayne Rooney. Sterling has hit 15 Premier League goals this term, with Manchester City two points behind Liverpool in the race for the Premier League title but with a game in hand. The England international is reportedly a contender for individual honours, his three goals also helping City reach the Champions League quarter-finals, where they will face Tottenham. And Rooney feels City boss Guardiola has played a key role in the development of Sterling, who accused the media of fuelling racism in an explosive social media post, becoming a key man for club and country. "Raheem is a great person," Rooney told talkSPORT." At times he got a lot of stick, which was baffling for us as players as to why that was happening. He will be up for Player of the Year for sure this season, he is doing fantastic. "You have got to give Pep Guardiola a lot of credit. Raheem has always had the talent and the ability but the one thing he has improved on massively is his knowledge of the game and tactically he is a lot better since working with Pep Guardiola. "He is doing fantastic so I am really pleased for him." Sterling is set to feature for England in their opening Euro 2020 qualifier at home to Czech Republic on Friday. Marcus Rashford misses out due to injury but Rooney feels the United forward is close to the complete package. "He has got a bit of everything," Rooney added. "He is quick, he is strong. The only thing he could probably work on is his heading. "He is fantastic. He has got so much ability and it is great to see him doing so well. For Manchester United and England, he has certainly got a bright future." It's matchday for the #ThreeLions! Sterling and Rashford's progress is being overseen at international level by Gareth Southgate, who led England to the World Cup and Nations League semi-finals last year. "Gareth has done a fantastic job," continued Rooney. "When I was with England for the USA game, I was watching Gareth and in particular Steve Holland and how they working with players and how they change the tactics. "Steve Holland deserves a lot of credit because tactically he is very good and him and Gareth work really well together. "I remember after Euro 2016 saying the future is bright with these players but I didn't expect them to do as well and go as far as they did at the World Cup, which is a great credit to them." Golden Boy award winners since 2003: Where are they now?